Got dry erase marker on some clothing or a piece of furniture? No worries! It’s not ruined! 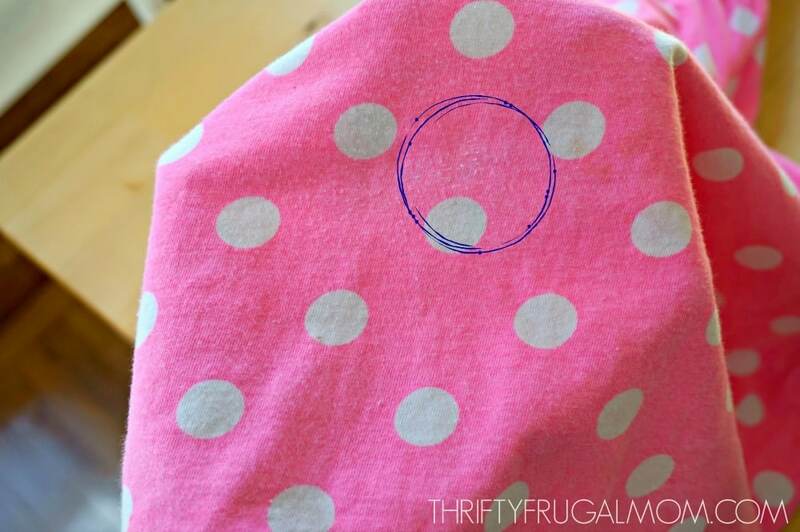 I’ll show you how to get dry erase marker out of clothes or other fabric easily! I was chatting with one of my friends after church the other Sunday when my daughter came running over to tell me something. As I turned to answer her, I was horrified to discover bright red spots of marker several places on the front of the cream colored sweater dress that she was wearing. Apparently, she and some of her friends were playing in a side room and were using the Expo dry erase markers to draw on the whiteboard. And bless her heart, she didn’t think about where all that marker went as she was moving around and her beautiful dress showed the results. I know that often the longer a stain sets, the harder it is to treat. So as soon as we got home, I got to work trying to figure out if there was any chance of saving the dress. 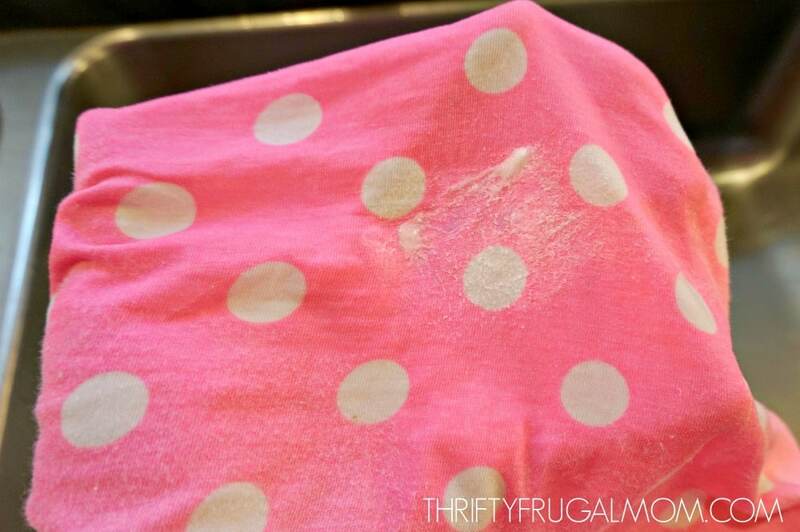 With little hope, I tried Fels Naptha, my favorite inexpensive stain treater that typically will remove almost any stain, but of course, it did nothing. Then just in case, I also experimented with Shout and some Fuller Brush stain remover that I had on hand. Neither did a thing. Thankfully, one of my mom friends heard about the dilemma and came to my rescue! 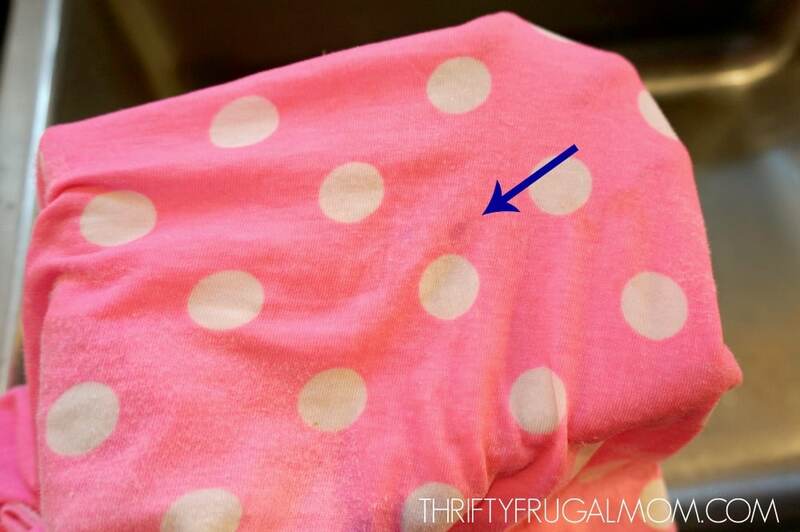 Her daughter had recently gotten dry erase marker on their white couch, and after trying different things, she discovered that Murphy’s Oil Soap did the trick! Who would have known, right?! I figured if it did the trick on their white couch, then I had a pretty good chance of it working on my daughter’s sweater dress too. And hurray, hurray! It did the trick! I could hardly believe it, but it removed every trace of dry erase marker on that dress. It almost felt like I was performing a magic trick as I watched it lift it away from the fabric. I didn’t think to take pictures of the process when I treated the original dress but decided to write on another dress with dry erase markers and show you how Murphy’s Oil took it out. 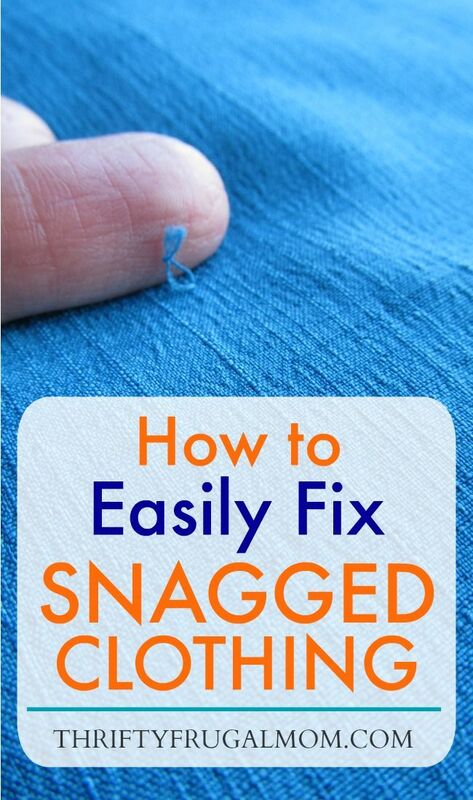 Because I’d love if I can help another person that feel desperate because they fear a piece of clothing (or a couch!) is ruined by dry erase marker! 1. You’ve probably already tried this, but before doing anything else, try seeing if scrubbing the marker stain with just water will remove any of the marker. In this particular piece of clothing, a lot of the marker actually came out (probably because it was a washable dry erase marker). What you see in the picture above is the only stain that was left. But in the case of my daughter’s white sweater dress that I mentioned earlier, running it under water did nothing. The stain didn’t even lighten slightly. 2. Dab a tiny bit of Murphy’s Oil Soap onto the marker stain and use your fingernail to gently rub it into the stain. If you want, you can let it set a little bit to allow the soap to really penetrate the stain. 3. Rinse well and if the stain is still visible at all. Repeat step 2 again. With this dress, I only had to do two applications of Murphy’s Oil. With the stain my daughter’s first dress, I had to do more like three or four on a couple of the dry erase marker stains before they were gone. This is a miracle! As a teacher I am always finding spots where kids have accidentally marked me with their dry erase markers. 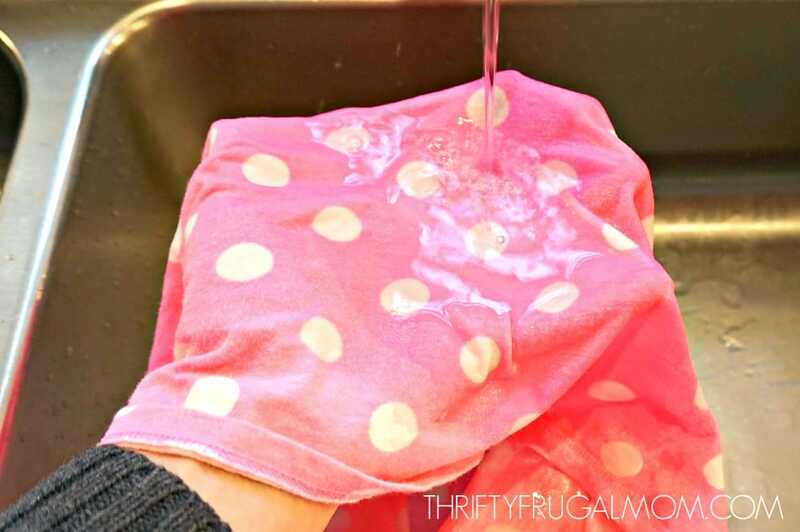 I tried the oil soap on a sweater that I received for Christmas and was marked the first day I wore to school. The stain is gone!!! I’d tried other things on previous articles of clothing but nothing had worked till now. Thanks for sharing this!! So happy that it helped save some clothing for you, Sarah! Thanks for letting me know!